Two lovers of wine, not just the drinking of it; but the romance of it, the history of it and the pleasure and – yes – inspiration it has given human beings for thousands of years. Two lovers of wine, one from the west and one from the east, determined to find, package and present the wine they love in the way they love it. With more than a lifetime of combined experience in the Australian wine trade, Paul Byron and Harold (Ralph) Dunning seek out those parcels of wine that they believe Australian wine lovers really want to drink. Wines with flavour, wines that are true to their variety – wines with provenance. We have chosen to base ourselves in Western Australia, with a focus on the Margaret River and Great Southern regions. They are amongst a small collection of wine producing regions in Australia that enjoy a genuine cool climate, due to our Southerly latitudes and strong influence of the surrounding oceans on our vineyards. We have the ideal environment here in Great Southern to craft truly sensational wines. Our deep, rich soils, combined with the cooling Southern Ocean breezes allow for a long, even ripening period in the vineyard. This slower ripening, in turn, results in fruit that has more intense flavours, more acidity and better balance which combine to make wines of flavour, intensity and elegance, and which beautifully match a wide range of foods. This is what it is all about – warm days with cool nights that deliver to us wines that express unique regional and varietal characters with finesse, elegance and definition. 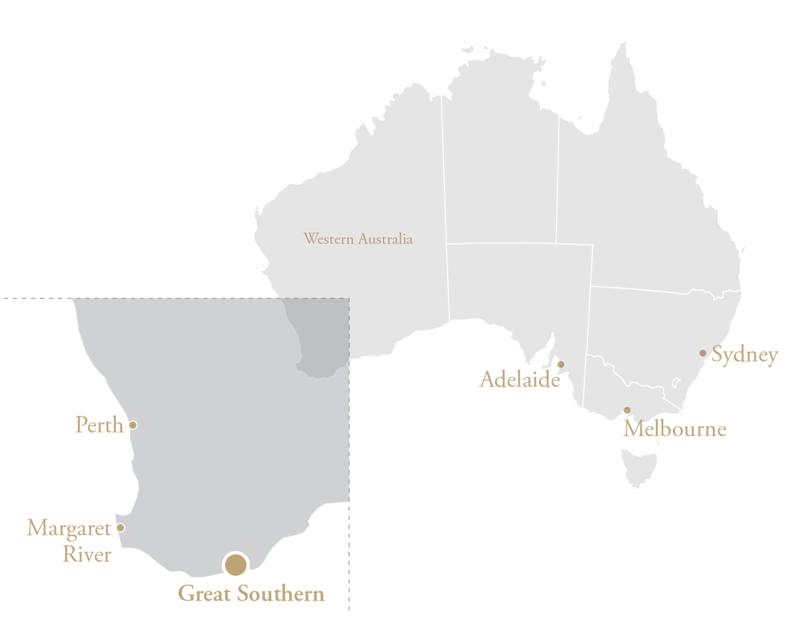 Since the first significant planting of vines in the early 1960s, the south west of Western Australia has grown to become regarded as potentially one of the great wine-producing areas of the world. The principal sources of grapes for Byron & Harold are the established regions of Margaret River and Great Southern. They both enjoy growing conditions similar to that of Bordeaux, and are internationally regarded as premium cool climate destinations that produce elegant, distinctive wines with finesse and power. Although Western Australia contributes less than 7 per cent of the country’s wine grapes, it represents over 25 per cent of today’s Australian premium wine market.